Not only is today's app free, it will actually save you a lot of money. 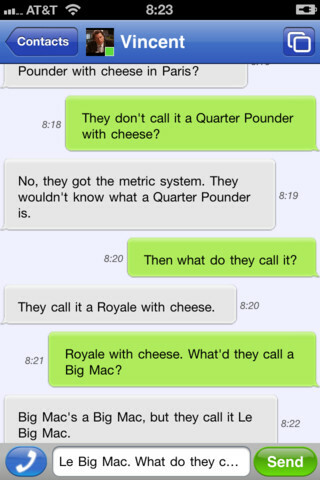 I've personally been waiting for an app like this for a long time. 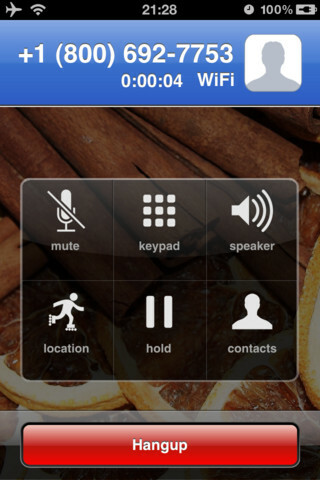 Talkatone lets you make unlimited FREE calls and texts using WiFi or 3G/4G to anyone in the world. And since it uses data instead of the cellular network, you can use Talkatone to use your Google Voice account for free from anywhere in the world, for both incoming and outgoing calls. That means people can call your US number and your smartphone will ring no matter where in the world you are, and it'll always be a local call. You can also make outgoing calls and texts to the US and Canada for free. The way Talkatone works is that you connect it to your Google Voice account (which is free to create if you don't already have one) and then setup Google Voice to call Gtalk (that's one of the forwarding options in Google Voice). Underneath the hood, Talkatone is a Gtalk client that supports voice calls (VOIP) so it handles the incoming and outgoing calls. It works over both Wifi and 3G. It obviously supports push notifications that work really well as soon as somebody dials your number. In addition, since it doesn't really use the cellular network, you can use Talkatone to turn your iPad or iPod touch into a phone. You may be thinking, why not use Skype on iPhone/iPad instead? Skype is only free if both sides are using Skype, which makes it much less useful as a phone. If you want to dial regular phone numbers with Skype you need to purchase Skype credits. If you want to receive incoming calls on Skype you need to purchase a SkypeIn account which costs even more. 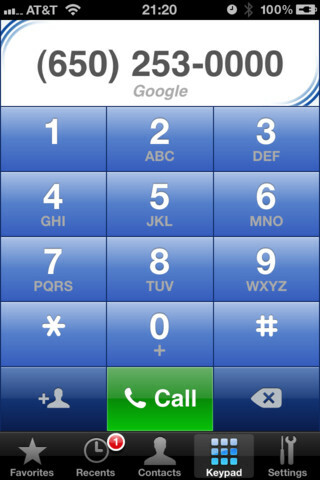 With Talkatone/Google Voice you get a real US phone number that anybody in the world can call and you can dial out to anybody. And it doesn't cost you a cent. 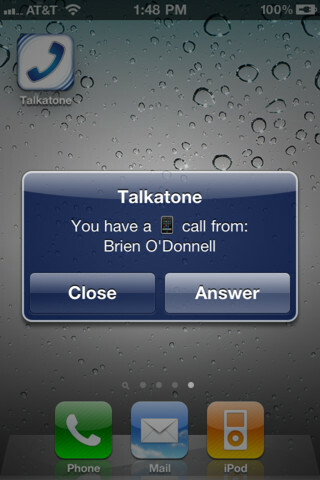 Talkatone is free and available for both iPhone and Android.